The Bodleian Humanities Libraries serve the largest concentration of Humanities scholars in the world with a wide range of academic interests. Particular strengths of our services are our extensive collections of printed and archival materials and electronic resources as well as the support provided by our library staff including over 35 expert subject librarians. Use the searchable map to find the location of the libraries in Oxford. [Area of the Comes Tingitaniae]. 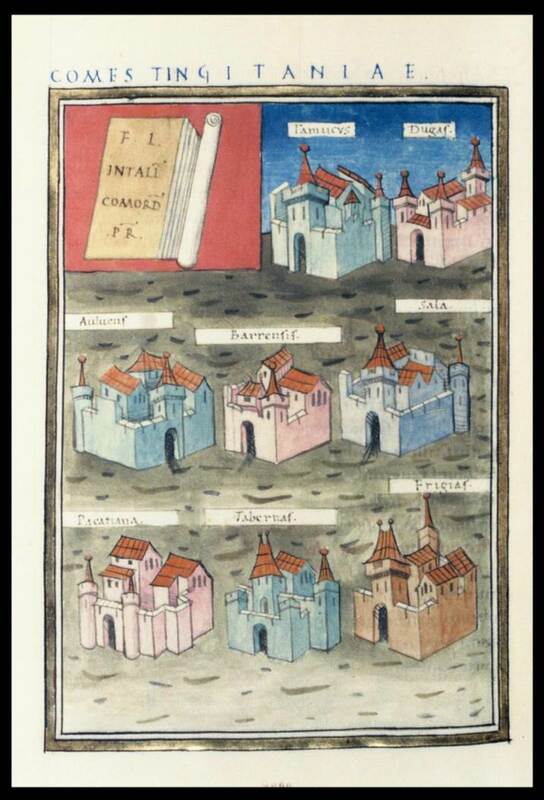 15th century copy of a Carolingian copy of a Roman map in Notitia Dignitatum of 4th or 5th cent. with towns, Tamacus, etc. General guidance on using SOLO, the primary library catalogue for the University of Oxford covering the physical and electronic holdings of the Bodleian Libraries and most other Oxford Libraries. Detailed guidance on finding journals and articles in print and online. Detailed guidance on using e-books, e-journals and databases using SOLO and Databases A-Z. Guidance on finding and using the Bodleian Libraries' specialist collections including manuscripts, rare books, archives and printed ephemera; maps; music; data and statistics; legal materials; official, parliamentary and government papers; audio visual materials; patents. Information about Oxford Libraries including opening times. Information about the Bodleian Libraries PCAS system for printing, photocopying and scanning. Guidance on connecting your laptop or device to the Eduroam or Bodleian Libraries wifi networks in the Bodleian Libraries. Information on logging on to and using the Bodleian Libraries' public computers which provide access to Office 2007 (Word, Excel, Access), Mozilla Firefox, Internet Explorer, Endnote, Nuance PDF Creator, GIMP, iTunes. Information about the passwords used to order items from the closed stacks; renew books; access e-resources from off campus; log on to public computers and wifi; and to make photocopies, print outs and scans using PCAS. 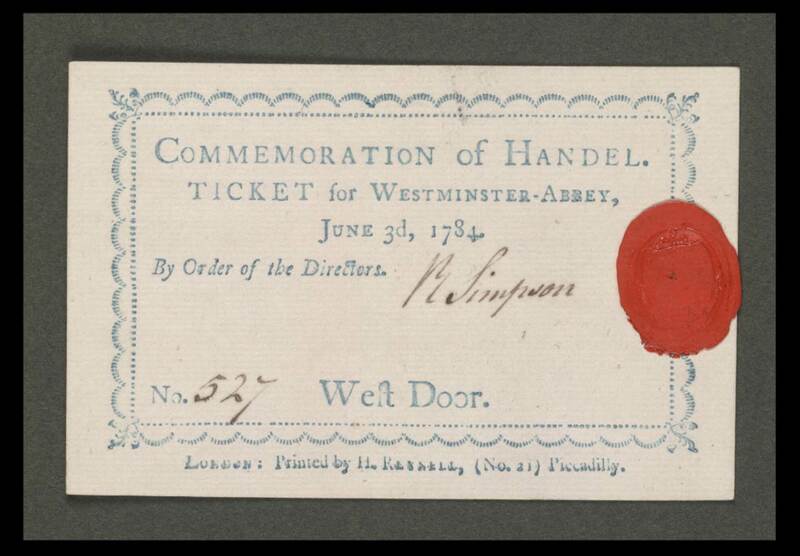 Ticket of Westminster-Abbey, June 3d, 1784, announcing a Commemoration of Handel.